Mold spores are extremely opportunistic creatures, meaning they’re always waiting for the right conditions to sprout. So, does mold die in freezing temperatures? While extreme weathers like heat and cold can deactivate their spores, extreme temperatures alone won’t kill them. This article will go into detail about what it takes for mold to grow and how you can take the necessary cautionary steps to prevent mold from growing in your home. Does Mold Die in Freezing Temperatures? Drying out a mold infested colony also won’t kill them, just deactivate the many spores floating about. Once it’s even a bit cold and moisture condenses in the previously dried area, these spores will reactivated and start building their own colonies. The proper conditions necessary for mold to grow vary based on the species. The amount of spores also vary based on other factors like your location, season and your typical local weather conditions. Note that the conditions necessary for growth defer, based on whether you’re indoors or outdoors – while still bearing in mind that these spores will just remain dormant until they have the right conditions available. Mold produces a lot of spores — thousands, and probably millions. If the conditions are right, these spores will start growing themselves, otherwise, they’ll remain dormant. Basically, mold spores are everywhere; whether or not you can spot a colony. It’s therefore not feasible to try controlling mold growth by killing these spores – because they’ll just deactivate and reactivate when it’s convenient for them. Plus, the population of these invisible spores means you won’t be able to get them all. Mold feeds on organic materials – so cellulose-based materials like linen, cotton, wool, wood (paper and thus books), as well as proteinuous materials like hair and leather. Even nonbiodegradable materials like plastic can support mold growth. No one understands how these stubborn fungi are able to survive on sometimes inhospitable materials, just that they do. It’s this ability to exist on virtually every material that makes mold one of the biggest deterioration agents. Due to the fact that they can grow practically everywhere, it’s also not feasible to take out these host materials. It doesn’t really help that mold thrives really well in temperatures humans prefer. So as long as you can live in a place, even when it’s freezing, mold can grow (deactivate and reactivate later when it gets warmer). This means you also can’t control mold by controlling the temperatures. Various species of mold require a considerable amount of moisture or relatively high humidity levels to grow. They’re able to grow and release even more spores into the environment when there’s enough water. Humidity levels above 70% are perfect, so it’s advised that you keep this at 60% or so. 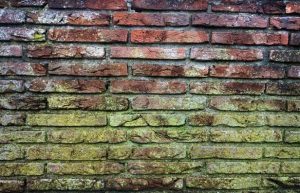 If you’ve been observing how easy it is for mold to grow, you’d have noticed that most of the conditions are difficult to control – with the exception of the moisture content in the environment. So that comes down to: does mold die in freezing temperatures? Since mold doesn’t die in freezing temperatures, but it instead remains dormant, you should take precautionary steps to prevent mold growth. So keep your home free from water collections, have a fan rotating in damp areas if possible, and avoid storing items close to the wall, which can easily get damp.